Описание: Close-Up учебно-методический комплекс английского языка для старших школьников и взрослых от издательства Британского Национального Географического Общества. Новое издание УМК было полностью переработано, чтобы соответствовать европейским учебным программам 2015 года. Как и все учебники от National Geographic, данный курс ориентирован на изучение языка сквозь призму познания окружающего мира. Богатые иллюстрации, интересные, современные тексты, сильная методическая составляющая и полная цифровая комплектация - все это погружает студента в учебу и делает процесс обучения интересным и мотивирующим. Welcome to Close Up, an exciting new six-level adult series that turns learning English into an exploration of the world we live in. Drawing on National Geographic content, Close Up transforms the learning experience into a fabulous journey with irresistible images, articles and videos that engage students like no series before. 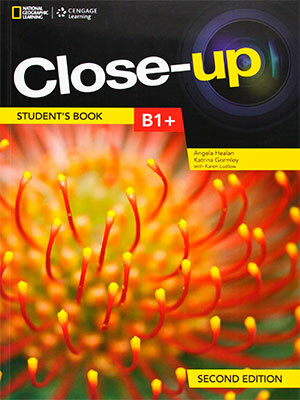 Bring Close Up into your classroom! - Comprehensive grammar, vocabulary, functions, pronunciation and skills syllabuses address the needs of contemporary students, and then Close Up goes one step further to enrich communication and critical thinking. - Grammar is presented in context with full explanations and extensive additional support. - Vocabulary is introduced thematically with further focus at lexical and morphological levels in Word focus and Word building sections. - Real Close Up lessons model and practice everyday functions and pronunciation is dealt with in depth. - Every lesson ends with a productive outcome, such as speaking or writing. With a new component array and strong digital support, the new edition of Close-up has been fully updated to be in line with the new First for Schools 2015 specifications. Close-up is still as interesting, topical and up-to-date as ever with spectacular National Geographic photography and facts that have been carefully selected to appeal to the inquisitive minds of young teenagers. What’s new with Close-up Second Edition? - The integrated ‘Exam Close-up’ feature gives students and teachers step-by-step advice and strategies for how best to approach exam tasks so students have an opportunity to put the advice into practice on the page. - A new ‘Learning Focus’ feature introduces ‘learning to learn’ tips so students can see what they need to do themselves outside of the classroom to progress. - Students’ abilities to think, form, express and justify personal opinions are developed further in the ‘Ideas Focus’ sections – a core skill for success at First. - Exam tasks have been updated to align with the new First for Schools 2015 specifications. - Step-by-step grammar presentations make the teaching of grammar clearer and more straightforward. - New ‘Use your English’ sections in each unit provide practice of grammar and vocabulary A ‘Grammar Focus’ section at the end allows students to check their learning. 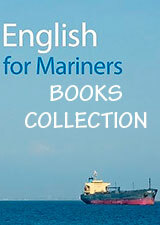 - A wide variety of tasks that consolidate the vocabulary and grammar presented in the Student’s Book. - Exam style tasks in each section with Exam Reminders to help students tackle them. - Further reading practice in each unit. - A listening exercise in every unit. - Regular reviews to check understanding. Student Ebook The Student’s Book in an interactive Ebook format delivered on a disc. - Additional online workbook activities powered by MyELT. - Online workbook activities include English in Use that provides further practice of the grammar and vocabulary. - Includes unit and lesson plans. - Contains key and audio script for the Student’s Book and Workbook. - Play the audio material included on the online student zone. - Enjoy the National Geographic videos found on the online student zone with or without subtitles. - Show or hide the key to the student’s book and workbook tasks. - Show the justification for the key to reading comprehension and listening tasks at the click of a button. - Create your own interactive tasks with the easy-to-use Content Creation Tool.